Sending handmade Christmas cards can be a fun way to get into the spirit of the holiday season. Whether you're a novice card maker or experienced in creating your own designs, use these ideas as inspiration to make thoughtful greeting cards for friends and family. Remember that projects like these are made to be adapted. Give these designs your own personal touch with different materials, effects, and techniques. This card project is perfect for children, but can also have a distinctly adult style. 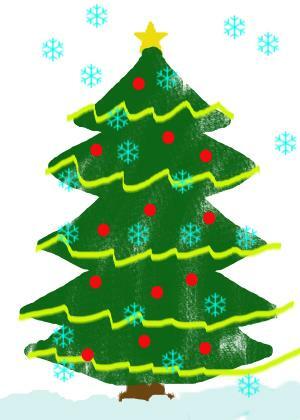 Draw, or have your child draw a Christmas tree, snowman, Santa Claus or other holiday-theme picture. Scan and reduce the drawing, if necessary, to use as the main image for the front of your Christmas card. Make small paper snowflakes from scraps of white, silver or light blue paper. Glue each snowflake to the front of your card for a simple, yet effective, design element. Embellish the card by adding glitter, small buttons, brads or eyelets. Many Christmas cards incorporate a family photo. This is a fast and personal way to create a card. Craft stores such as Hobby Lobby have a large selection of photo corners and corner slit punches that you can use to quickly attach a photo to the front of your Christmas card. Take a family photo. Ideas include having each family member wear Santa hats, placing the baby or a pet in a wrapped box or having each family member hold up a block letter to spell the family name. Print out as many copies of the photo as you'll need. Measure the photo and use a slit punch to create small tabs on the card stock where the corners of the photo will be placed. Insert the corners of the photo into the slits to hold it in place. 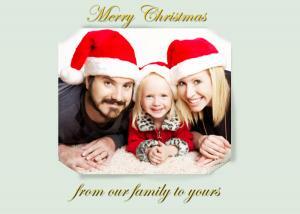 Embellish the card by printing a message directly beneath the photo, or on the interior. This is a beautiful card that you can make in any combination of colors you desire. You can also change the sizing to work with the card stock you use. Punch out numerous circles in different colors of card stock. Use glue dots to attach them to the front of a piece of plain card stock. Overlap the circles slightly to form the shape of a wreath. The circles should be three or four wide. Tie the ribbon into a bow and glue it to the top of the wreath. There are numerous ways to express yourself in card making. Use any of these ideas to help embellish or create a unique card. Rubber stamping lets you design Christmas cards with a unique look. Large craft stores such as Hobby Lobby or Michaels Crafts carry stars, Christmas trees, snowflakes, candy canes and other seasonal stamp designs that you can use for your Christmas card making projects. When you're finished, use the same stamps to design coordinating wrapping paper or gift tags. To add dimension to your cards, consider purchasing pigment ink and embossing powder to use with your stamps. Embossing helps to create a raised design with a shiny or slightly metallic finish. Print your favorite Christmas card verses onto plain vellum or purchase a pre-printed vellum quote stack, then attach the individual quotes to patterned paper squares using small brads or eyelets. This is a quick way to make a variety of unique holiday cards. If you have access to large paper punches or a die cutting machine, making handmade Christmas cards is surprisingly easy. 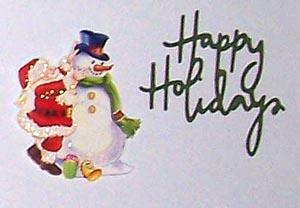 Simply cut out a greeting or holiday shape from the paper of your choice, then attach it to a pre-made card foundation. Add stickers, ribbon, buttons, brads or other small embellishments for the perfect finishing touch. 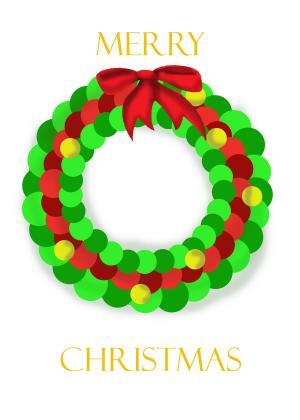 When you're on a tight budget, downloading free Christmas clip art is a great way to make your own holiday greetings. Whether you're looking for cute and casual or traditional and elegant, you're sure to find something that fits your needs. As an alternative to free clip art, you may also want to consider incorporating holiday-theme fonts or dingbats into your handmade Christmas card ideas. The Holiday Spot is one of many Web sites offering a nice assortment of free fonts suitable for Christmas card making projects. Magnetic photo paper allows you to create a card that can be displayed on its own. Print out a photo on the paper and use it as the centerpiece of your card, with a note that tells the recipient to enjoy the magnet long after the holiday season has passed. Use a handmade pocket on your card to include a small gift for the recipient. Use glue, double sided tape or embroidery floss to create a pocket on the front of your card. Include a handmade bookmark with a favorite Christmas quote, money, gift cards or another small gift. The best handmade Christmas cards combine your own unique style with a personal message or image tailored to the recipient. Take some time to consider the sentiment you want to express and let your design ideas flow! Experiment with different styles and techniques until you find the perfect way to express yourself.